The state of Illinois started a pilot radon testing program in January, but so far only 41 out of 4,450 schools have applied for grant money and have been tested. 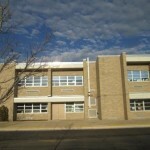 Is Your Child Breathing Radon Gas At School? NBC Today Show report: Officials say radon is in thousands of classrooms, but many districts are doing nothing. When we send our children to school, we assume that they’re safe; that they’re learning in a healthy environment. But health officials say there’s a danger in the air: a toxic cancer causing gas in thousands of classrooms nationwide. And, we found, many districts are doing nothing about it. A new law that went into effect on Jan. 1, 2012, will help people who rent apartments, condominiums or houses access information about radon levels in their homes. The Illinois Emergency Management Agency’s (IEMA) radon program is offering guidance to help renters better understand radon hazards and their rights under this new law. Public Act 97-0021, which was approved by the Illinois General Assembly this spring and signed by Gov. Quinn on June 28, 2011, requires owners of rental units to inform renters in writing before a lease is signed if the rental space has been tested for radon and that a radon hazard may exist. If the rental unit hasn’t been tested, a renter can conduct a do-it-yourself radon test or ask the owner to test by hiring a licensed radon contractor. If a renter conducts a radon test in the rental unit and results show high radon levels, the renter should inform the building owner in writing. IEMA recommends that all rental units below the third floor be tested for radon. This winter has been colder than normal in many parts of the country with extended periods when the temperatures stayed below freezing. As a result, many mitigators received phone calls from homeowners about problems with their mitigation systems. The symptoms are generally that the fan continues to run normally but the u-tube manometer gauge reads zero or the u-tube reading has dropped below its normal reading. The problem is caused by ice that has formed in the pipe, usually at the top. The ice is caused by condensation that forms inside the pipe from the air being drawn through the cold pipe. Correcting the problem could entail disassembling the pipe to clear the ice. You could also possibly do nothing if the weather is expected to moderate. The warmth from the sun and the fan motor will eventually clear the ice. How do you prevent the problem? It is a very tall order indeed and is not too easily accomplished. 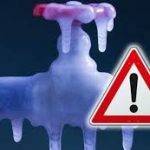 The problem occurs on systems with long lengths of pipe exposed to the cold temperatures so you can minimize the exterior pipe on a system. An interior pipe system will not freeze except perhaps in extreme climates. 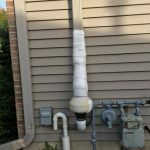 Using 4-inch pipe instead of 3-inch pipe will help minimize the possibility of the pipe freezing completely closed and using Schedule 40 pipe can also help by providing additional insulation from the cold. Insulating the exposed pipe will also help. You should also avoid the use of vent caps in cold climates, as the cap grates can easily freeze solid. Some mitigators will use black ABS pipe to absorb the solar energy or even add heat tape to the pipe. I welcome any input from readers on other strategies to deal with the icing problem. This year’s AARST Symposium introduced what turned out to be an exceedingly popular and well-received segment: “Houses from Radon Heck.” Mitigators and other radon professionals empathized and identified with the experiences presented by a panel of respected radon mitigators that included Jay Brown, Gary Hodgden, Deane Mickle and Jack Hughes. Radon is a colorless, odorless, tasteless radioactive gas that comes from the radioactive decay of naturally occurring uranium in the soil. It can enter homes and buildings through small cracks in the foundation, sump pumps or soil in crawlspaces. The U.S. Environmental Protection Agency (USEPA) has determined that radon is the second leading cause of lung cancer in the nation, behind smoking. However, among non-smokers, radon is the leading cause of cancer. The National Academy of Sciences and the Surgeon General estimate that 21,000 radon-related lung cancer deaths occur annually in the United States, as many as 1,100 of those in Illinois. Illinois Emergency Management Agency’s (IEMA) Radon program staff analyzed results from nearly 72,000 home radon tests conducted by professional contractors and homeowners from 2003-2007. Twenty-four counties had more than 50 percent of the homes tested with radon levels greater than 4 picocuries per liter of air (pCi/L), the USEPA recommended action level. In another 34 counties, between 25-50 percent of the homes tested above that level. The remaining 44 counties had too few tests to provide a good picture of the radon potential in that area. In a previous radon study released in September 2006, IEMA reported that 46 percent of more than 22,000 homes tested by professional radon measurement contractors in 2003 and 2004 had potentially unsafe levels of radon. During Radon Action Month, IEMA is offering 10,000 free radon test kits to encourage people to test their homes. Requests for the test kits can be submitted through IEMA’s Radon website at www.radon.illinois.gov or by calling the radon hotline at 1-800-325-1245. Test kits can also be purchased at local hardware and department stores. In addition, professional radon measurement contractors are licensed by IEMA to conduct radon tests. A list of measurement contractors by county is also available on the Radon website. professionals, mitigation experts in Illinois are licensed by IEMA to ensure they have the proper equipment, specialized training and technical skills to do the job right and reduce radon in the home to safe levels. Depending on the home, radon mitigation can cost between $800-1,200. As a life-long non-smoker, Barb Sorgatz of Glen Ellyn was surprised in 2007 when a CT scan following a gall bladder attack detected lung cancer. Through research on the Internet, Sorgatz earned that radon is the leading cause of lung cancer in healthy people who have never smoked. remediation work be conducted if test results show high levels of radon. However, if a radon test has been conducted on the home those results must be provided to the buyer.